RAMM accounts by RoboForex. Risk allocation management model. The funds are kept on your account and remain under your full control. You can stop your trading operations at any moment and withdraw your investments from trading. Specify the amount of acceptable losses for a week and you can be sure that the Trader will not exceed the level you specified. The functionality integrated in the system will allow you to focus on trading without paying attention to complicated calculations. The system will determine the required volume for each trading operation by itself according to your preferences. 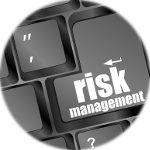 Maintain the efficiency of each strategy for a long period of time by managing your risks properly. Invest your funds into an effective strategy, keeping complete control over them and defining the level of acceptable risks on your own. Seek a higher amount of weekly payments from your investors by showing efficient trading on the market and attracting new investors. If you had not recieved the email, please check your SPAM folder. RoboForex Ltd is regulated by the IFSC, license IFSC/60/271/TS/17.